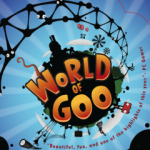 The hit indie game World of Goo will soon be making its way onto Android courtesy of the game’s developer, 2D Boy. The game will be redubbed “GooDroid” and the developer let the world know via their blog today that the title will be available for both Android smartphones and tablets alike. If you aren’t too familiar with World Goo, it’s a physics based puzzle game akin to Lemmings where you must guide the Goo Balls to safety using various structures you make within the game. To say the game is anything less than addicting would be an understatement. 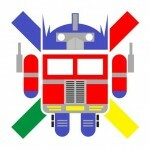 This will make a huge splash once released onto the Android Market and we’ll let you guys know as soon as it does! Check out the trailer in the meantime. Social web-discovery tool, StumbleUpon, has been updated in the Android Market today. 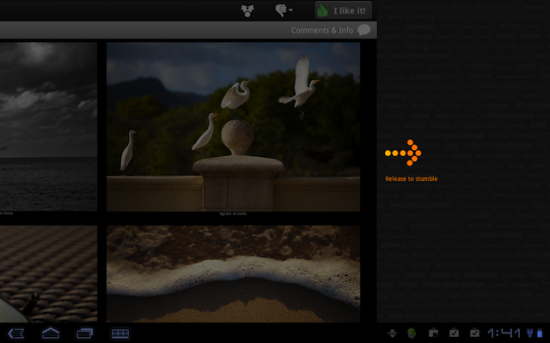 With the usual set of goodies comes a a fresh new UI and also — full Honeycomb support for Android tablets. With the revamped UI comes a new way of stumbling through the web. Users can now swipe from left and right to bring up new content from around the web and the SU team has even optimized the app for faster page loading. Another new feature for the StumbleUpon Android app is the Explore Box (previously only available through their web version) which allows users to browse popular content according to interest categories. I haven’t used StumbleUpon in ages but I think with the latest update, I may become active again. Wanna Stumble around the web with me? Follow me here! See you guys on the other side! Adobe Photoshop Touch: Transform images freely using core Photoshop features in an app custom-built for tablets. Adobe Proto: Create interactive wireframes and prototypes of websites and mobile apps. Adobe Ideas: Design virtually anywhere using vectors, layers, and color themes. Adobe Debut: Present Creative Suite designs anywhere with confidence, convenience, and complete control. Adobe Collage: Capture ideas and concepts by combining images, drawings, and text into conceptual moodboards. Adobe Kuler: Create, explore, download, and share color themes that can inspire any design project. All 6 apps will debut in November at the introductory cost of $10 each and are compatible with Adobe Creative Cloud for easy transitioning of your project between tablet and the traditional desktop. For all you iPad toting Android users out there, Adobe has also announced these apps will be making their way to the iPad in 2012 as well. I would imagine these apps would only interest a small group of users. Any of our readers interested in picking some (or all) of these up? All 6 apps will debut in November at the introductory cost of $10 and are compatible with Adobe Creative Cloud for easy transitioning of your project between tablet and the traditional desktop. 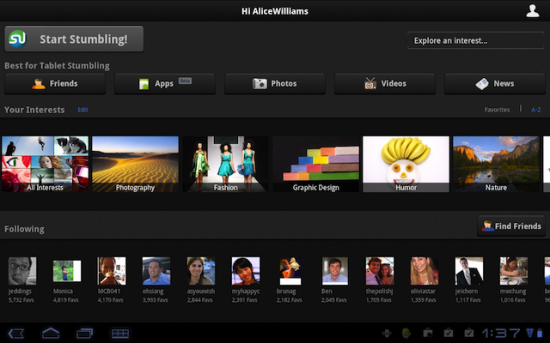 For all you iPad toting Android users out there, Adobe has also announced these apps will be making their way to the iPad in 2012 as well. I would imagine these apps would only interest a small group of users. Any of our readers interested in picking some (or all) of these up? More conference calls – yay! This time, Sprint’s hosting a call to discuss their 4G strategy and will update everyone on the status of future, well, network updates. We expect this call will reveal the big 4G announcement Sprint’s been hanging on to and will provide more details about their 3G capacity improvements that should help the abysmal 3G speeds users have been experiencing as of late. We’ll be in on the call but you can also join the webcast here starting 9:30am eastern time this Friday. 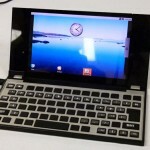 Android netbooks seem to be on the rise and NEC wants to cash in early, it seems. This one doesn’t look nearly as good right now as the hybrids from ASUS – the Slider and the Transformer – but its thin and small design could be popular with those who want sort-of a traditional computing experience without the bulk. Unfortunately, this one is only in prototypical form right now. We don’t know much except that it has a WSVGA screen resolution, a hardware keyboard and is a clamshell notebook device with a hardware keyboard. Judging from the photo below, it can even bend both ways. 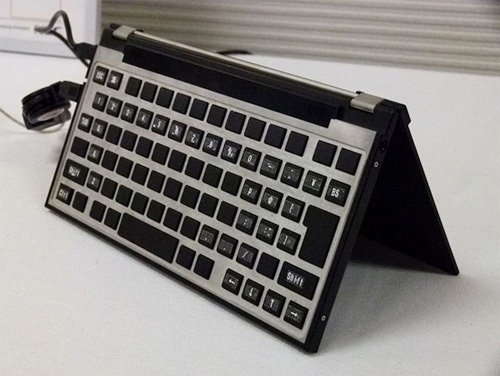 We can’t be sure on how far back it can go but we’d be impressed if you could fold it back completely and cover the keyboard, effectively making it a slate. Microsoft made some major announcements pertaining to their Hotmail email service today. Most of it had to do with the addition of features to the web version, but they apparently mentioned that they’d be bringing a native Android app. The link Engadget referenced did not mention this and we couldn’t find the application in the Android market as of the time of this writing. We’ll be trying to get more word from Microsoft, but in the meantime we’re curious: who here still uses Hotmail? Don’t be shy – we won’t laugh at you. Maybe. [Update]: It was in the Market all along, but under SEVEN’s name. They’re boasting this as the only official Hotmail app so we’re betting this is it. Go ahead and grab it here. Verizon’s begun deploying what they’re calling the ” LTE C.O.W.” which stands for Cells on Wheels. These units exist to deliver strengthened data coverage for Verizon users within the radius of the truck. Verizon uses sports outings, festivals and disaster sites and other big events as prime deployment areas for these. At an NFL event where attendance can be anywhere from 40,000 to 80,000+, Verizon anticipates that many attendees are using their networks. It’s believed that simultaneous high cellular use in small areas can affect data speeds so this should help make their LTE network feel just as fast as it does if you were in a non-bloated area. The first unit is being deployed in Florida but Verizon ensures more siblings will be on their way for other markets. Read on for full press details. PEMBROKE PINES, FL -- Verizon Wireless proudly announced today the delivery of the companys first 4G LTE C.O.W. (Fourth Generation Long-term Evolution Cell On Wheels) in Florida to bring the joy of reinforced high-speed wireless capabilities to its customers. Delivered at the Verizon Wireless "super-switch" facility in Pembroke Pines, the new 4G LTE C.O.W. weighs in at a healthy 24,000 pounds and measures 1,080 inches, including its telescoping antenna tower. The newborn C.O.W. will be deployed to targeted locations across the state when demand for wireless coverage and services spikes, including championship sports events, tourist destinations or large festivals. It also will be available to reinforce the most advanced 4G LTE wireless services for emergency responders and to the public in areas hit hard by a hurricane or other crisis. The mobile unit is designed to handle hundreds of simultaneous voice calls and 4G LTE data transmissions such as photo and video messages, music and app downloads, internet surfing and more. "With so many 4G LTE markets here in Florida, and with the frequent special events we have here, its natural that we deliver the first 4G LTE C.O.W.," said Frank Wise, executive network director for Verizon Wireless. "Were very proud of this new baby, and glowing about our 4G LTE services around the state." Verizon Wireless already has launched 4G LTE high-speed services in Miami, Fort Lauderdale, West Palm Beach, Tampa Bay, Orlando, Jacksonville, Tallahassee, Gainesville, Sarasota-Bradenton, Daytona Beach and Lakeland. Fort Myers will initiate the service later this month, and Verizon Wireless plans to upgrade 100 percent of its wireless network to 4G LTE by the end of 2013. This 4G LTE network provides customers with wireless data speeds up to 10 times faster than the companys 3G network. These speeds allow for smooth mobile video-conferencing, multiple video streams, faster transfer of large files, downloading and running powerful programs, machine-to-machine communications, and other applications to improve efficiency and productivity wirelessly. As the first wireless company in the world to broadly deploy a large-scale 4G LTE network, Verizon Wireless is committed to building its 4G LTE network with the same performance and reliability for which it has long been recognized. 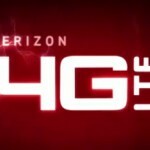 Already, Verizon Wireless 4G LTE has won numerous technology and consumer choice awards. The companys consistent focus on reliability is based on rigid engineering standards and a disciplined deployment approach year after year. The companys 700 MHz spectrum gives Verizon Wireless specific advantages with 4G LTE, including a contiguous, nationwide network license and improved in-building penetration. The new 4G LTE C.O.W., with siblings soon to come, is designed to further enhance the strength and reliability of this Verizon Wireless network. For more information, visit www.verizonwireless.com/4GLTE. Verizon Wireless operates the nations largest 4G LTE network and largest, most reliable 3G network. The company serves 106.3 million total wireless connections, including 89.7 million retail customers. Headquartered in Basking Ridge, N.J., with 83,000 employees nationwide, Verizon Wireless is a joint venture of Verizon Communications (NYSE, NASDAQ: VZ) and Vodafone (LSE, NASDAQ: VOD). For more information, visit http://www.verizonwireless.com/. To preview and request broadcast-quality video footage and high-resolution stills of Verizon Wireless operations, log on to the Verizon Wireless Multimedia Library at www.verizonwireless.com/multimedia. Toshiba kicked off CEATEC 2011 with a highly entertaining (there were pretty ladies) press conference where it officially announced to Japan the Toshiba Regza AT700 - "the world's thinnest and lightest tablet". The 10.1-inch tab weighs just 558g and is a Victoria Beckham-esque 7.7mm thin. But hang on, doesn't this all sound a bit familiar? Indeed it does because these are the exact same measurements given for the Toshiba AT200 that was announced last month over in Berlin at IFA. Ambiguity, when it comes to Toshiba's naming process for its tablets, is always guaranteed. 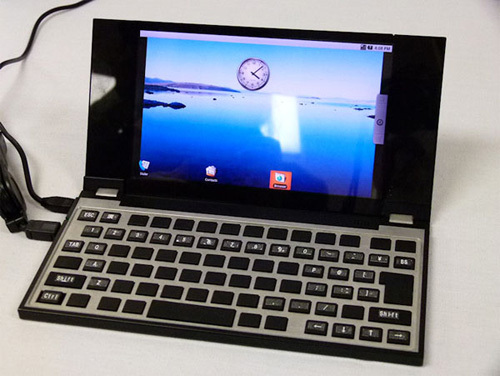 We just hope that Toshiba has learnt its lesson from its past tablet fiascos. If you remember, there was the major fail of the Toshiba Folio with its non-Flash, non-Android market and high return rate troubles, then came the Regza / Thrive / AT100 device that, although offered a number of connectivity options, failed to live up to the company's expectations and also confused us name-wise. The AT700, AT200, or whatever you want to call it, looks like a great device though with plenty of potential. We were impressed when we got hands-on at IFA and seeing it again up close in Tokyo has only raised our excitement levels further. Let's hope the release is hiccup free this time around. 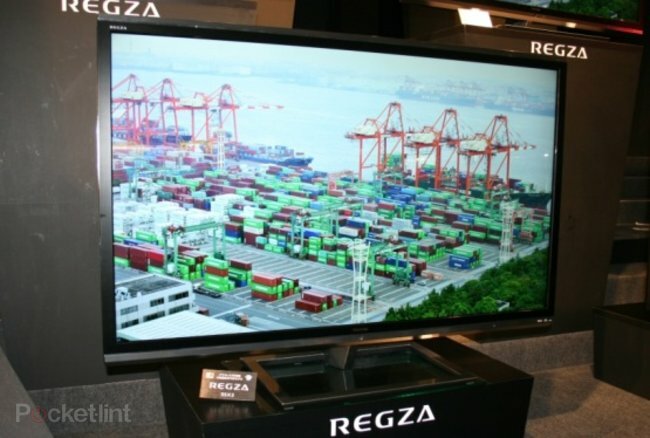 In other Toshiba CEATEC news the company also announced to Japan the 55-inch Regza 55X3 glasses-free, Quad HD (3840x2160) TV and the dynabook R631 Ultrabook PC; again "the world's thinnest and lightest". Sound familiar? Yep - that's because these are the Toshiba 55LZ2 and the Toshiba Portege Z830 that were both announced at IFA. Or, at least, they are devices with the exact same spec sheets. Although we did get some new info; a price for the super-doopa telly. It'll be ?900,000 - roughly ?7,500 - when it hits Japanese shops in December.